Quality installations and commissioning are a key component to accurate and reliable data systems. 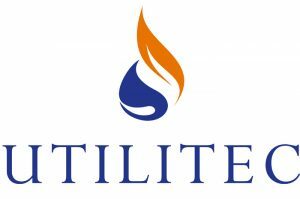 With a fleet of trained and experienced Field Engineers covering the breadth of the UK, Utilitec is able to offer a range of installation, commissioning and maintenance services. With four UK offices plus a fully mobile team being continually supplied with jobs via hand held devices and stocked by a mobile equipment support vehicle, we are able to respond quickly to ensure rapid installations and short maintenance times. With over 150,000 installations to date across the UK our system is finely tuned with a sophisticated job management and auto routing system at the heart ensuring efficiencies and rapid response. Each Engineer is fully equipped for Gas and Water installations, ensuring that we consistently surpass the customers’ requirements and service level agreements. We build long-term relationships with our clients based on trust, integrity and flexibility. By understanding our customers’ requirements this allows us to offer bespoke solutions to meet the customers’ specific needs. As part of Technolog’s smart metering application, Utilitec Services has a nationwide network of highly skilled engineers to install and maintain data loggers for Industrial & Commercial clients for Automatic Meter Reading (AMR) purposes. Data loggers are installed or maintained at customer premises directly next to their gas or water meters, allowing both accurate billing and energy management to take place. Utilitec have an advanced scheduling engine and appointment booking system to optimise and maximise Engineer efficiencies. This ensures the correct job allocation is optimised and ultimate client satisfaction achieved. 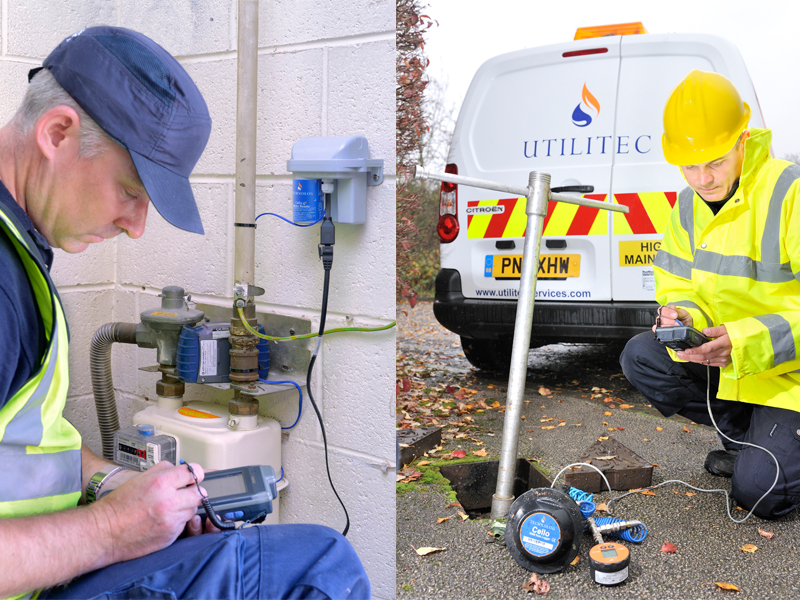 Utilitec Services support the water utilities with their data logger installation and maintenance requirements to enable accurate monitoring, targeting and reporting for multiple purposes. 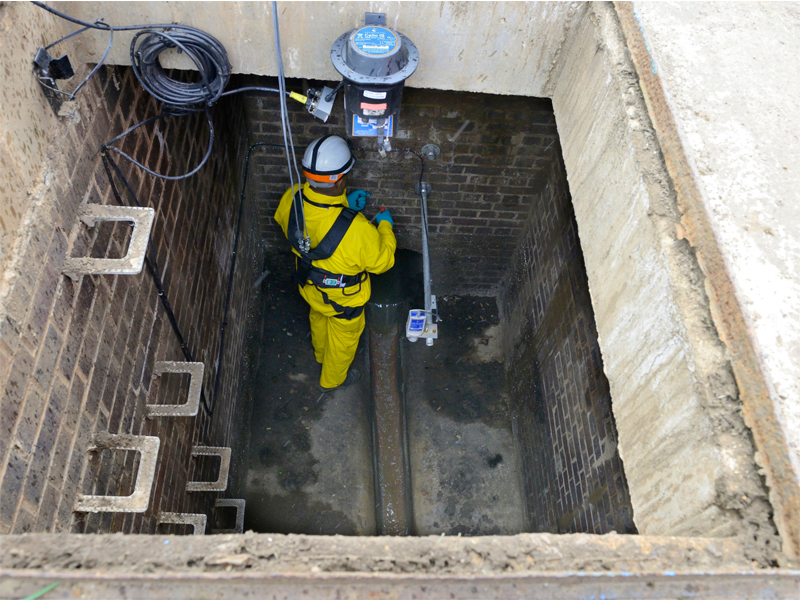 Installations are undertaken for pressure, flow and level applications on the water network in either main, slave chambers or hydrants, as required. To date over 75,000 units have been installed. Engineers work remotely and autonomously within their region ensuring installations and maintenance activities are undertaken as per the service level agreement, both safely and accurately. Work flows are sent electronically to PDAs allowing real time job allocation and reporting, in order to deliver the work efficiently. Utilitec Services have dedicated, specially equipped teams providing installations and maintenance within the waste water sector. Trained to deploy various types of monitoring equipment from rain gauges to flow and level monitors. Working to approved ATEX regulations, the skilled Engineers can install and commission equipment safely and securely at the right location to ensure accurate and repeatable measurements, and data streams. Supported from regional offices the teams are able to diagnose and resolve any unforeseen problems with the assistance of the “in house” Data Centre analysts. Efficient deployment and rapid maintenance is provided with the aid of our job management, routing systems and waste water service centre. Whether it is a rain gauge or CSO level monitor we can ensure quality data and a rapid response to meet your requirements.